The ABS team has grown! The ABS team are growing! ABS supports colleagues at Royal British Legion branch with donation for The Great Pilgrimage and visits to the battlefields of Somme and Ypres. The Royal British Legion, founded in 1921, is a charity known for supporting the veterans of British Armed Forces and their families, organised what is now known to be called ‘The Great Pilgrimage’, a decade after WW1 ended. The Great Pilgrimage consisted of 11,000 British Legionaries including veterans and war widows visiting the battlefields of The Somme and Ypres, then a march to the Menin Gate in Ypres on 8th August 1928. On 8th August 2018, exactly 90 years later, over 2300 representatives of 1150 British Legion branches recreated The Great Pilgrimage visiting the battlefields of Somme and Ypres. To commemorate the last 100 days of WW1, the representatives paraded their branch standard and wreath along the same route to the Menin Gate. 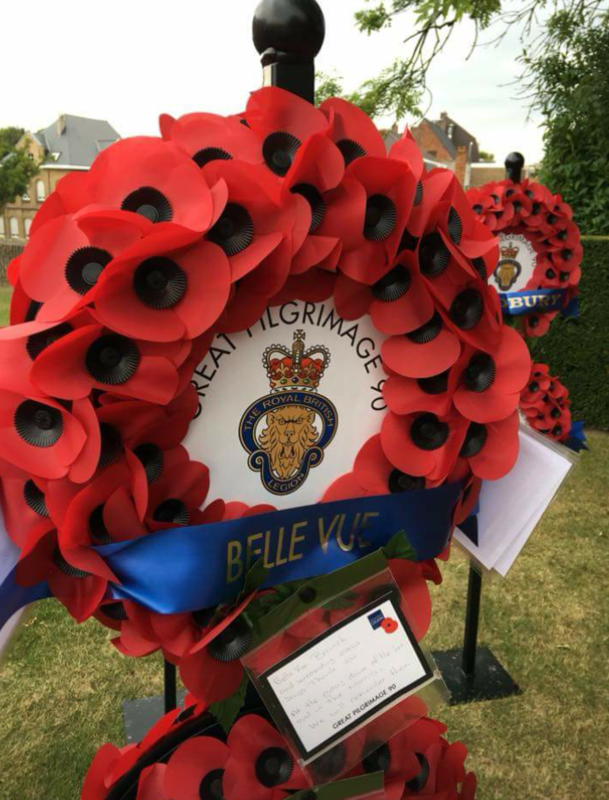 One of our own, Steve Hosker (field service engineer), was the Standard-Bearer in which he proudly carried the distinctive flag of the Belle Vue Royal British Legion flag, while his brother Mike Hosker laid the wreath. In order to be able to send two representatives from The Manchester Belle Vue District (TMBVD), TMBVD needed to raise over £1000 to cover travel and accommodation for Belle Vues two members. ABS were delighted to support the Belle Vue branch with a donation to enable them to hit their target. This is just another example of how we support our colleagues in their charitable endeavors. Our colleagues also play a big part in the charity work we do through the ABS Foundation. To read more about the Foundation please click here.